ඔන්න අද ගෙනාවේ පට්ටම දෙයක්. දැන් ඉතින් කට්ටිය හෝ ගාල Windows 10 වලට update කරනවනේ. ගොඩක් එවුන්ගේ fb status එක තමා Updating Windows 10 කියන එක. 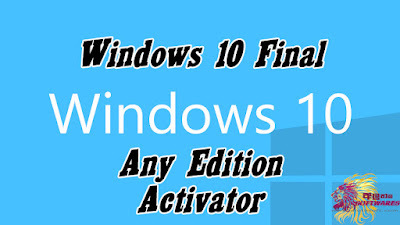 ඉතින් අද අපි ගේන්නේ Windows 10 Activator එකක්. මේකේ නම තමා Re-Loader. මේකෙන් Microsoft ලගේ OS ඕනේ එකක් ලොවෙත්ම Activate වෙනවා. 1. මුලින්ම Virus Guard එකක් දාල තියේ නං එක Disable කරලා ඉන්න. 2. 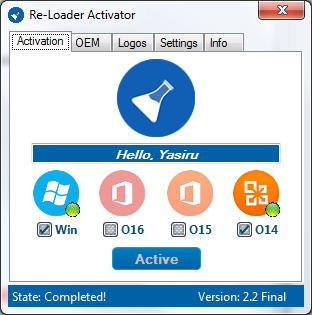 දැන් Reloader - MS All In One Activator - Aluthsoft.rar file එක extract කරගන්න. 3. දැන් Re-LoaderByR@1n.exe එක open කරගන්න. 4. දැන් Activate කරගන්ඩ ඕනේ ඒවා Select/Deselect කරගන්න. 5. Active button එක click කරන්න. එතකොට එන popup එක yes කරන්න. 6. Activate උනා නං පහල photo එකේ වගේ කොල පාටින් dot එකක් පෙන්නයි.